When it comes to operating energy hungry data centres, Canada, and Quebec especially, has a lot going for it: proximity to the giant U.S. market, a cold climate, plenty of water, stable and favorable data protection and privacy laws and generally cheap electricity. 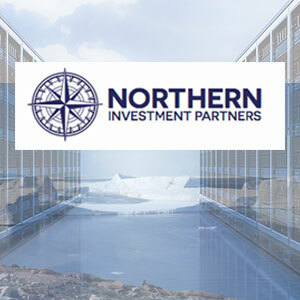 It’s a winning formula for Montreal-based Northern Investment Partners Inc., which recently announced a partnership for international banking firm M Capital Group to raise and invest up to $160 million to build/acquire and operate data centers in key Canadian markets. The idea is the brainchild of Roger Karam, a Canadian real estate veteran with extensive international experience. Presuming that its money raising targets be reached, his company intends to build its first data centre in Montreal, a city that has some of the best attributes for data centres (abundant and cheap electricity, plenty of fresh water for additional cooling and a cool climate for much of the year). His firm is also looking at building data centers in Vancouver, Toronto, Calgary and Halifax. “Canada is, we believe, one of the best countries in the world to build data centres,” said Karam. “We have the advantage of having data sovereignty which is no longer the case in the U.S., we have stable legislation, we have political stability, we have a high level of education and no how within the local population.” To those he adds Canada’s natural attributes that are only rivaled by the Scandanavian countries. Northern Investment Partners sees its potential clients, who would lease server space at its facilities, as a roughly 50-50 mix of Canadian users such as financial institutions, and foreign users such as large U.S. companies with a significant client base in either Canada or the northern U.S. as well as companies looking to having a disaster recovery site at its Montreal location. If it builds a data centre in the GTA, it would service mostly local business customers. Perhaps the most surprising aspect of Canada’s attractiveness as a data centre destination is the issue of “data sovereignty” as Karam describes it. It is also a consideration for information giants such as Google which want to service European customers but are stipulated by European governments not to have that data residing in the U.S. Canada may be an alternative to hosting data centres in Europe under those scenarios. Karam said the cost of building a new, ground-up data centre will run “roughly $140 million apiece.” His company expects to raise $35 million to $40 million in equity for each data centre with the rest coming from debt. His company could start building the Montreal-area “flagship” facility as early as next year with Vancouver likely the second site for construction. Northern estimates the global data centre industry to be worth over US$14 billion, with the North American market accounting for almost half of the global market. With increased requirements for the cloud-based industry, it is expected to double in size within the next five years. Karam sees just one major competitor in Canada that is offering a similar data centre leasing model, namely COLO-D Inc., which operates a 115,000 sq. ft. data centre in Drummondville, Que. and a new, “flagship” 180,000 sq. ft. facilities in Longueuil, Que. The attractiveness of Canada, and in particular Quebec, was highlighted last month when it was reported that Internet giant Amazon has opened at least two data centers in the Montreal area. Amazon said it settled on the area because of Quebec’s low-cost hydro-electric power. Hydro Quebec has reported that there are approximately 40 data centers operating in the province. Karam estimates that Quebec electricity is less than half of that in Ontario, “notwithstanding real estate and construction costs” which are also higher in Ontario.